Really Spicy Opera’s August 2017 production of A Pickle opens Friday, August 4 at 10 PM at the Ritz Studio Theatre. This seriocomedic play by Deborah Yarchun is based on an episode in the life of Richfield, MN resident Doris Rubenstein. Read more about it in the Sun Current. Really Spicy Opera’s A Pickle, a one-woman play by Deborah Yarchun, has been generating strong advance buzz from theatre critics. 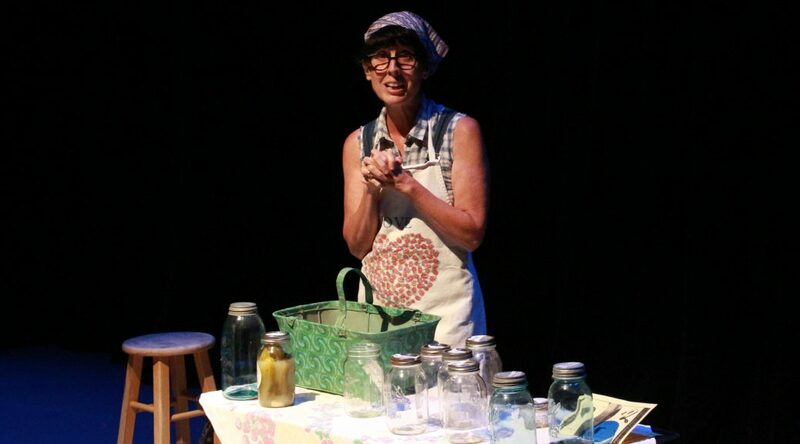 Matthew A. Everett of Single White Fringe Geek named it one of his Top 20 shows to see, praising the script and the chance to see “the phenomenal local actress and comedienne Angela Timberman” on stage. Pamela Espeland named it one of a dozen must-see shows.